Steep yourself in history, go river rafting, ride a horse, and learn about the California’s Gold Rush. Placerville/Coloma. Ride the American River with local rafting companies (Mother Lode River Center has shuttle vans that run on eco-friendly vegetable oil). Explore the history of the start of California’s Gold Rush. Auburn (28 mi: 46 min). Grab an local bite at Auburn Ale House, then walk the Trail of Treasured Trees. Explore Old Auburn’s antique shops. 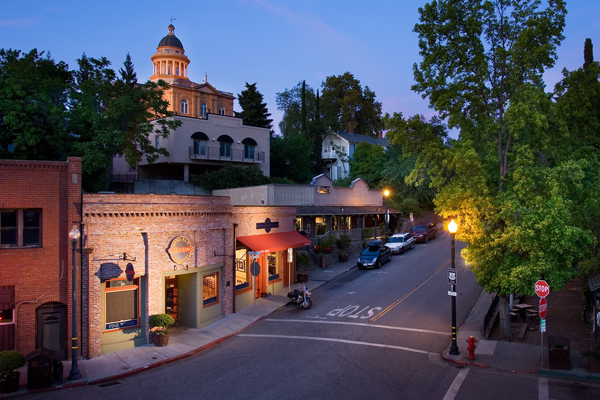 Sample a local brew at the Auburn Ale House or seize the moment at Carpe Vino. Reserve tee time at DarkHorse Golf Club. Plymouth/Shenandoah Valley Wine Region (40 mi/63 km: 57 min). 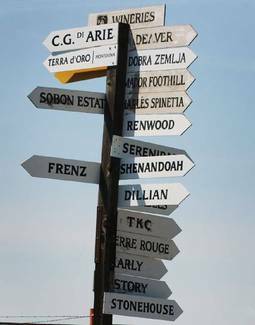 Taste Zinfandel from century-old vines and estate olive oil at the wineries along Shenandoah Road. Splurge on dinner at Taste (walking distance of Far Horizons 49er Village RV Resort.). Amador City (7 mi: 16 min). Search for antiques and collectibles in shops downtown. Follow your nose to Andrae’s Bakery for organic pastries and coffee. Angels Camp (36 mi: 1 hr 1 min). Walk the Frog Hop of Fame on Main Street, where sidewalk plaques honor past champions of the Jumping Frog Jubilee, held the third weekend in May. Murphys (5 mi: 10 min). Ogle the 44-pound gold specimen, then swirl and sip at Ironstone Vineyards. Tour the local vineyards on horseback with Horse & Barrel, or rent bikes from Sierra Nevada Adventure Company and go by pedal power. Stroll Murphy’s Main Street. Copperopolis (17 mi: 31 min). Shop for handmade wooden crafts at Once a Tree, then loll about the new town square. At Saddle Creek Resort, play golf on greens that encompass restored wetlands habitat. Jamestown (19 mi: 36 min). Have lunch at Here’s the Scoop, where the beef comes from the family farm’s grass-fed cattle, and check out the gift shop’s extraordinary selection of 600 cookie cutters. Get helpful tourist tips at the Auburn California Welcome Center. 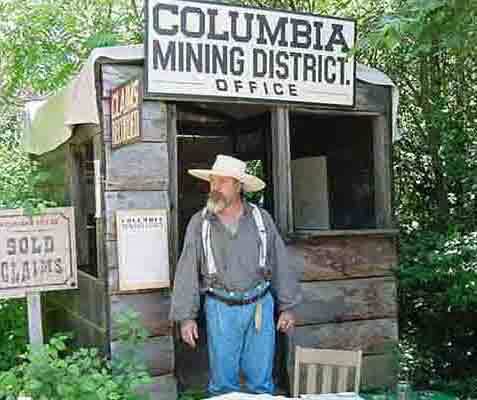 Time travel to the Gold Rush era at Columbia State Historic Park, where the town’s shopkeepers still dress like it’s 1849. Park at the trailhead just north of Columbia, on Parrott’s Ferry Road, then hike to Coyote Creek for a picnic, and a swim at Natural Bridges, where the stream flows through spectacular limestone tunnels.